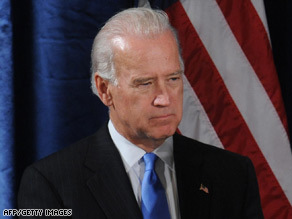 Vice President-elect Joe Biden will chair a new task force aimed at helping working families. Other members of the task force will include the secretaries of labor, health and human services, and commerce, as well as the directors of the National Economic Council, the Office of Management and Budget, and the Domestic Policy Counsel, and the chair of the Council of Economic Advisors. “The one thing that we use as a yardstick of economic success of our administration: Is the middle class growing? Is the middle class getting better? Is the middle class no longer being left behind? And we’ll look at everything from college affordability to after-school programs, the things that affect people’s daily lives. I will be the guy honchoing that policy,” he said. Biden said he will have the authority to get a consensus among the task force — but will use his relationship with the president if a consensus isn’t reached. You are currently browsing the archives for the and Department of Commerce category.